Police said Derek Hanscom, 32, of Gorham, was charged in connection with incidents that occurred over the past two weeks. WESTBROOK — A teacher at the Westbrook Regional Vocational Center was arrested Monday morning on charges of gross sexual assault and unlawful sexual contact. 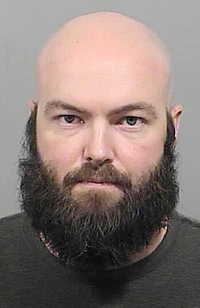 Westbrook police said that Derek Hanscom, 32, of Gorham, was charged at 11:45 a.m. in connection with incidents that occurred over the past two weeks, according to a release by Capt. Tom Roth. Roth said the alleged victim was a juvenile, but would not say whether the juvenile is a student. Hanscom is being held on $5,000 bail pending a court hearing. Westbrook Regional Vocational Center offers career and technical education to students from Gorham, Bonny Eagle, Windham/Raymond, Scarborough and Westbrook high schools. Hanscom is one of the faculty who teaches automotive technology. CORRECTION: This story was updated Tuesday, Jan. 29 to reflect that Hanscom’s bail was $5,000, not $500. The inaccuracy resulted from a clerical error, according to a jail official.